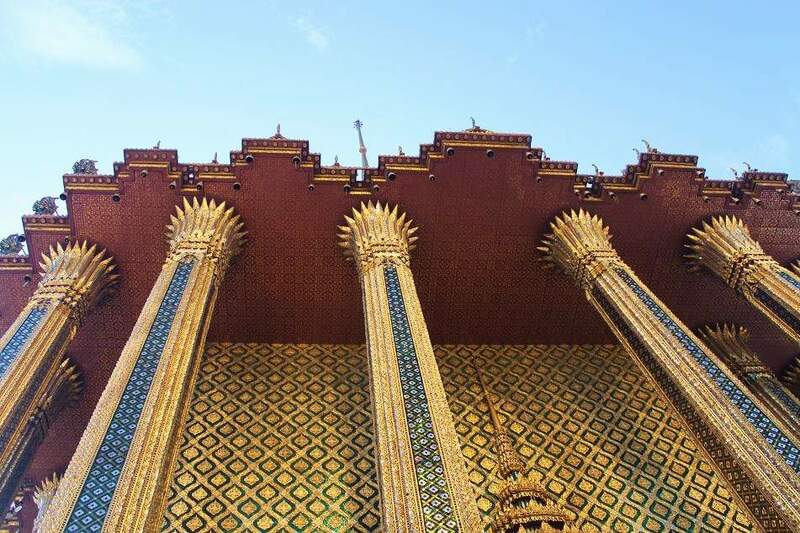 The Grand Palace and Wat Phra Kaew | What an Amazing World! 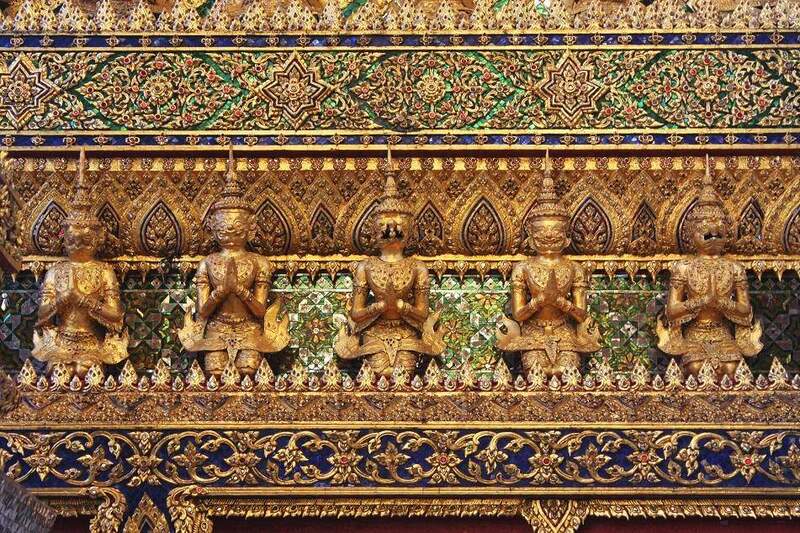 The Grand Palace and Wat Phra Kaew are arguably Bangkok’s most precious jewels. 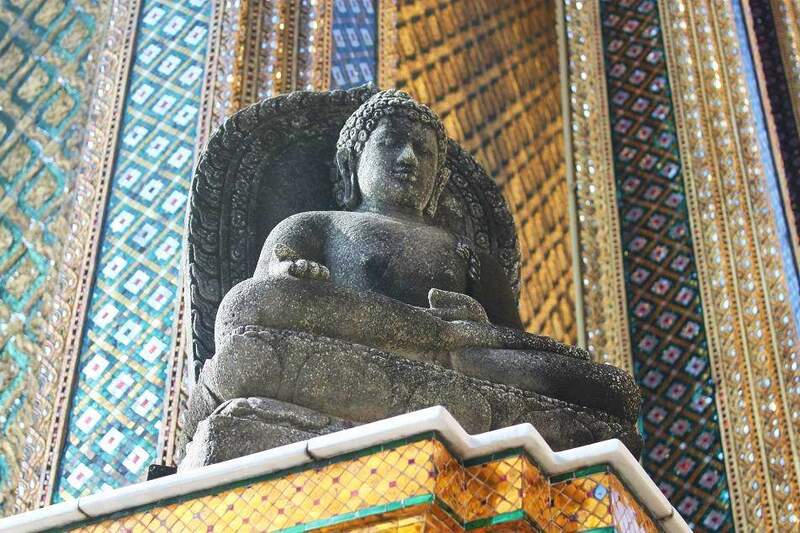 Both are confined within the walled area of Ko Ratanakosin near the bank of Chao Phraya River. 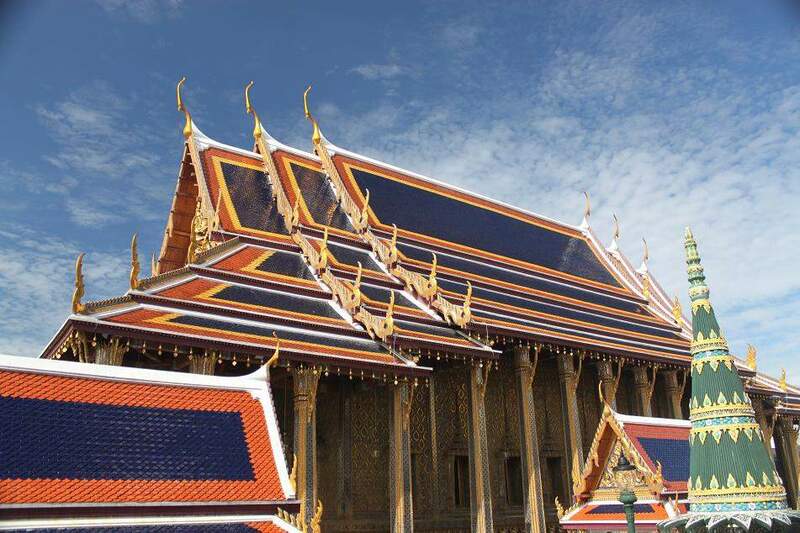 It was once a royal palace built by King Rama I when the capital of the Thai Kingdom was moved to Bangkok. 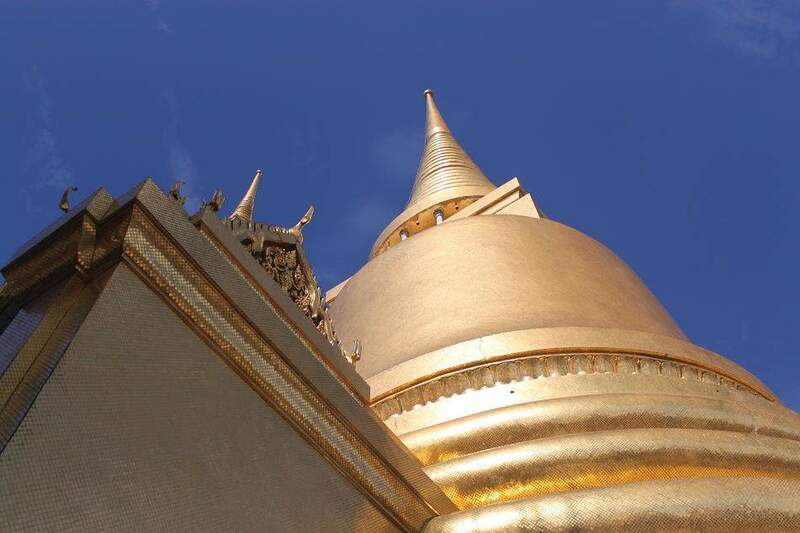 However, the current king (King Bhumibol Adulyadej, or Rama IX) no longer lives in this place. 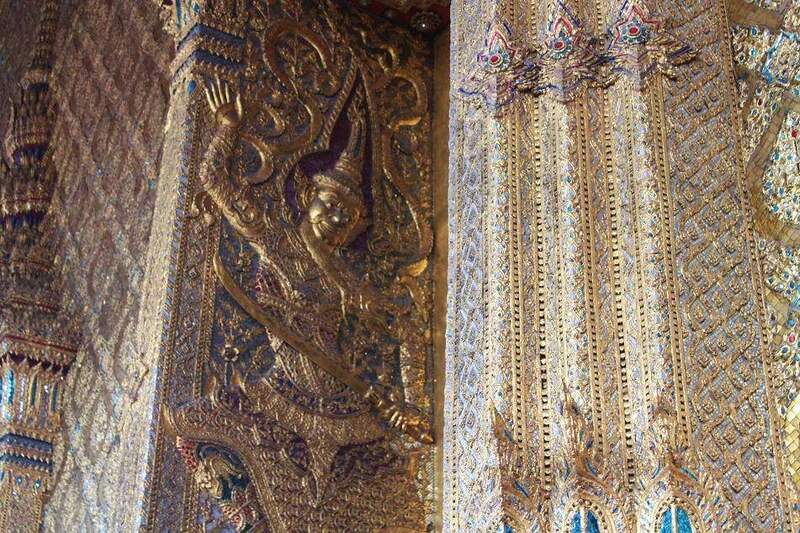 Nevertheless, this complex of beautiful and grandeur palace is still occasionally used for official ceremonies. 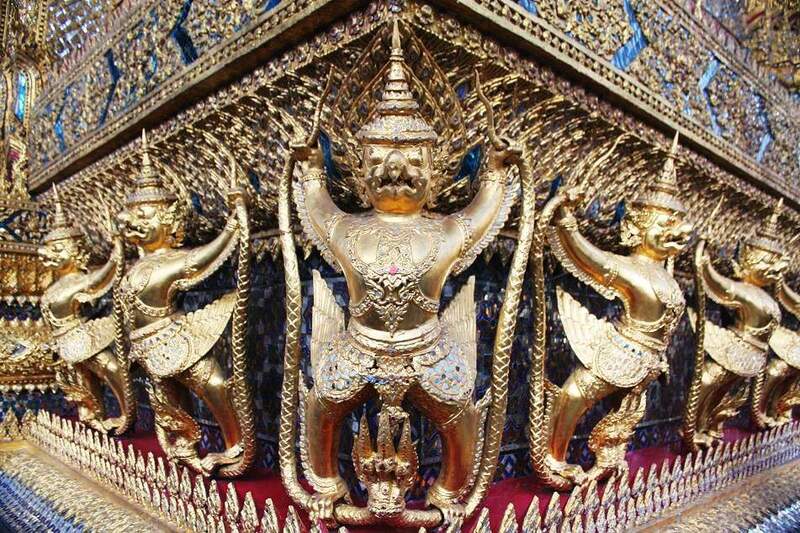 The Grand Palace is open everyday at 8.30 (never believe anyone who says that it is closed!) 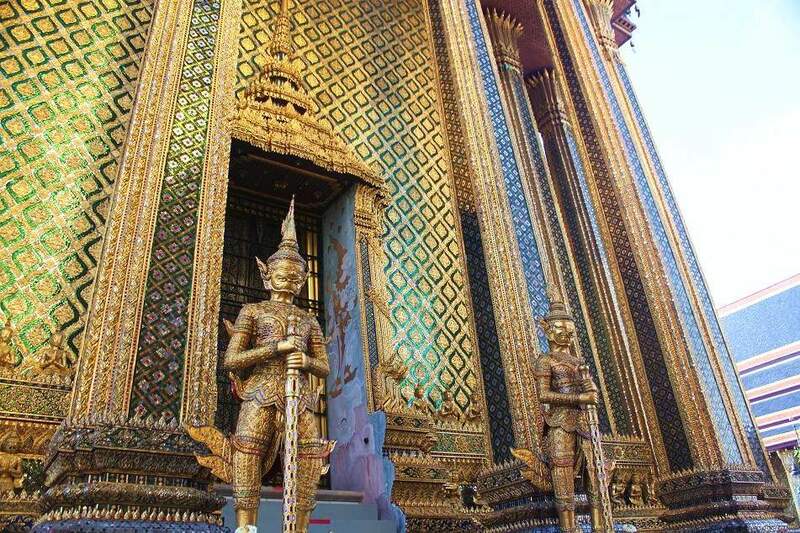 and the ticket also can also be used to enter the Dusit Palace. Since it basically still serves as a royal compound, you have to pay attention to your attire. The most important thing is that your knees and shoulders must be covered. Strolling inside the complex was a jaw-dropping experience for me. 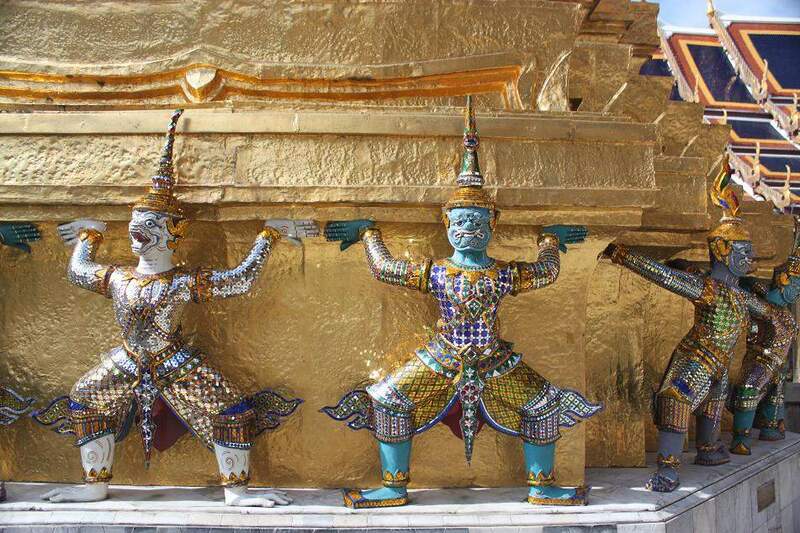 I had never seen anything like that before, where glittering ornaments and shiny golden statues dominated the view of the entire complex no matter which direction I looked at. I must say that I was a little bit overwhelmed at that time (in the good way). Enough words, let the pictures do the rest. Enjoy and bye for now! 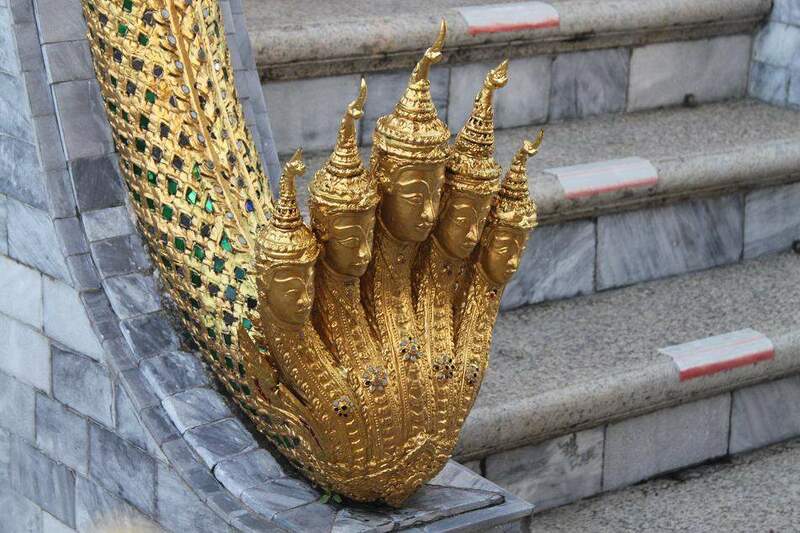 Are They Positioned to Carry The Golden Chedi? 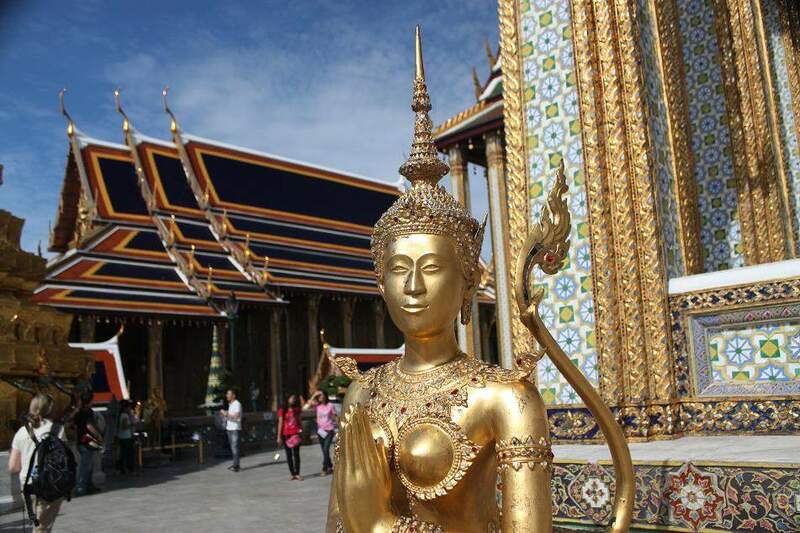 I have been thinking NONSTOP about Thailand recently and I blame you 100%. You’re making me want to visit more and more each day! LOL…I don’t mind being blamed for that. 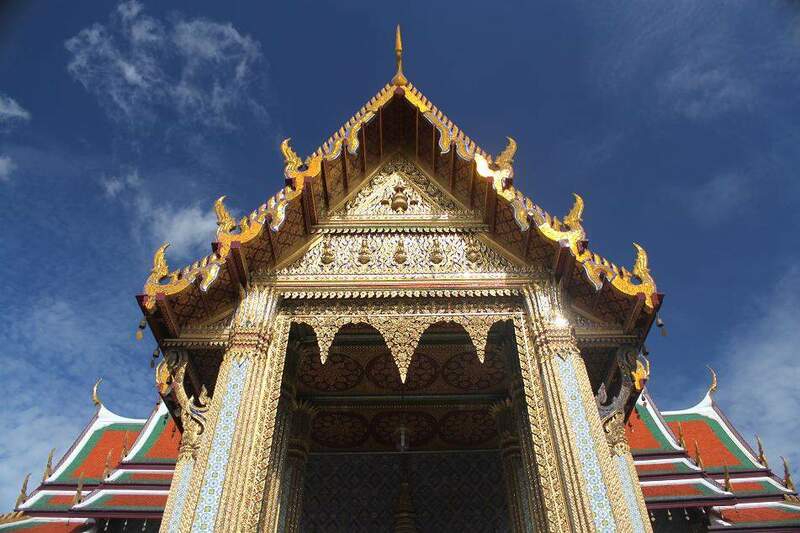 I’m going to write some more posts about Bangkok, so be anticipated to blame me more! 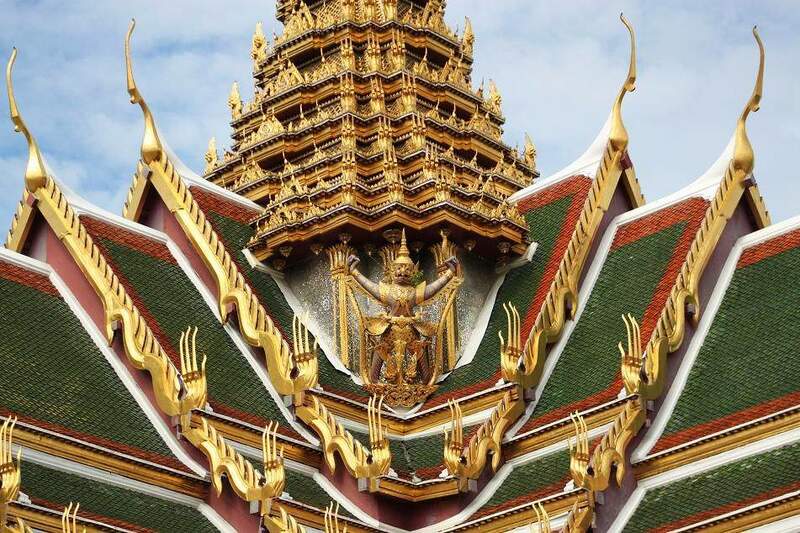 haha..
Pingback: The Cambodian Royal Palace « What an Amazing World! 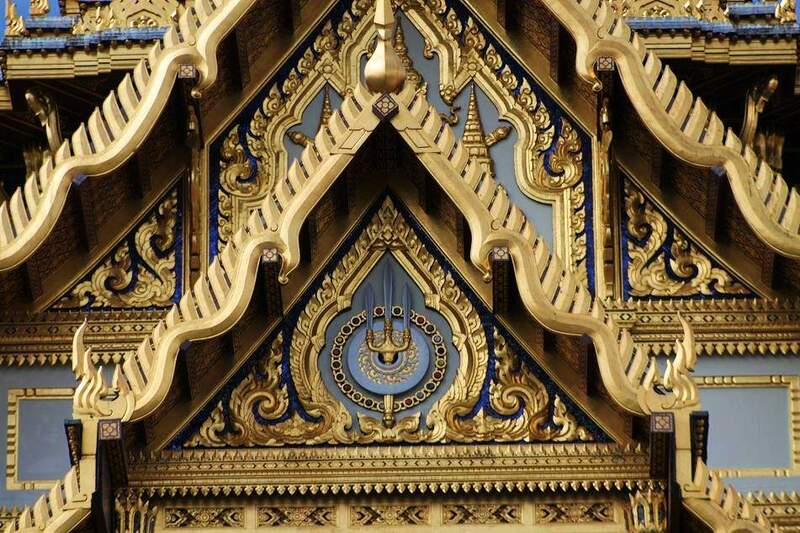 Pingback: The House of Indonesian Treasures « What an Amazing World! Beautiful post indeed! You captured it very well.. Thank you, Indah. This is from one of first trips abroad since I started the blog. Back then I traveled too fast, visiting too many places within a very limited time. Now I prefer to travel much more slowly, still not too slow though, so I can better immerse in the culture and ambiance of the places I visit.